Nayo Jones (pronounced Nīyō) was born in Chicago, Illinois into a family of musicians and destined to be in show business. As an accomplished jazz musician and music educator, her father William “Doc” Jones groomed and nurtured her natural ability from a very young age. Nayo grew up listening to Jazz standards that proved to be a solid foundation and would later become a signature in her own show. Accomplished in her own right, Jones is also a classically trained flutist. Currently Nayo is based in New Orleans, LA where she performs regularly with her band “The Nayo Jones Experience”. In addition to her own show, Ms. Jones also tours alongside New Orleans iconic jazz trumpeter, Kermit Ruffins as the featured vocalist. Recently, she has also joined forces with the New Orleans Jazz Orchestra lead by Adonis Rose. She will be featured on their upcoming album as well as live performances. Nayo’s vocal range has been compared to the likes of Natalie Cole, Nancy Wilson, even Whitney Houston. She has been the opening act for legendary George Benson, Chris Botti and more. Nayo has been on stage at the New Orleans Jazz & Heritage Festival, French Quarter Fest and many other Louisiana festivals annually since 2012. She has consistently drawn rave reviews for her performances. Nayo and her band, “The Nayo Jones Experience” has a longstanding residency at the Carousel Lounge located in the historic Hotel Montelone and The Jazz Playhouse at the Royal Sonesta Hotel. She headlined at the 2018 Twin Cities Jazz Festival. 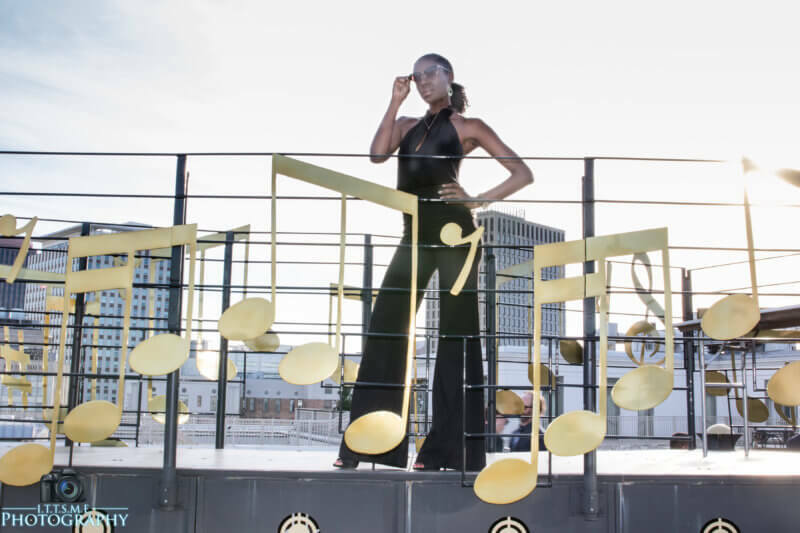 Nayo is set to headline at the 2019 Iowa City Jazz Festival. Nayo’s body of work includes her first original album “My Name is Nayo Jones”, a “Holiday Collection”, a compilation project featuring her dad Doc Jones, and her EP simply titled “Nayo”. Her most recent project is, “The Nayo Jones Experience Live at the Kerr Cultural Center”, which is a live performance recorded at ASU Kerr Cultural Center in Scottsdale, AZ. Nayo will release an original and Jazz Standard album in 2019.